The clocks went back this weekend, which means only one thing to us women’s fiction nerds: bring on the Christmas books! There are so many amazing ones to choose from this year and we’re v. excited to add one to the mix. 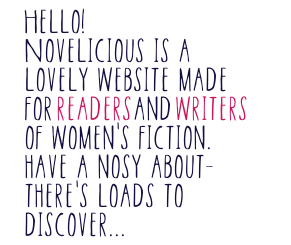 It’s the first Novelicious Small (our novella line), it’s called A Cinderella Christmas and is written by a super funny new author called Holly Kingston. When we tell you this book is hilarious, we’re not just saying that. It actually is laugh-out-loud funny. A Cinderella Christmas by Holly Kingston will be released on November 19th. In the meantime, please do add it to your Goodreads lists! You can also follow Holly on Twitter @HollyKWriter.